Are Botox and Dysport Vegan? What About Juvederm? As the popularity of a vegan lifestyle grows, and the popularity of minimally-invasive cosmetic treatments grows, it can only lead to one thing: more questions from your patients about vegan-friendly cosmetic injections. You may be an expert at restoring youth and beauty, but these lifestyle questions can be difficult to address, even for seasoned cosmetic injectors. 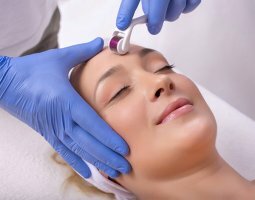 Sooner or later, one of your patients will ask if their favorite injectable is vegan-friendly, so learn what makes a product vegan and If Juvederm, Restylane, Botox, and other injections fit this category. What makes a product vegan-friendly? Two main factors determine if a product is vegan: its ingredients and its testing. For a product to be vegan, it must contain no animal products but also no ingredients derived from animals. When it comes to food, for example, it must not contain meat but also no eggs, dairy, or other products obtained from animals, even if that animal is still alive. Vegans will also avoid clothing and other items made of leather, fur, and wool. The key is whether animals were exploited to get the materials to make the product. For a product to be vegan, it must also not be tested on animals. For products like shampoo, this means rabbits and other animals were not exposed to the product for testing purposes, for example, checking for a skin reaction or eye irritation from shampoo exposure. However, this aspect can be confusing. Legally, a product can be labelled as vegan if it simply does not contain animal ingredients. However, many vegans will only consider a product to be truly vegan if it is also not tested on animals. A perhaps more accurate term for a non-animal-tested product, other than vegan, would be cruelty-free. Botox is the most popular of the cosmetic injectables, and a household name. There is still plenty of confusion among consumers about what this wrinkle-fighting product is made of. The main ingredient in Botox is botulinum toxin, produced by Clostridium botulinum bacteria. Since bacteria produce this neurotoxin, not animals, that would seem to indicate this injectable is vegan-friendly. However, that is not the only ingredient in Botox. A secondary ingredient in Botox, along with sodium chloride, is human albumin. Yes, a protein from human blood. An alternative source of albumin would be eggs, but since those are animal products, they are also not vegan. Although the main ingredient in Botox comes from bacteria, since another ingredient is from humans, Botox is not vegan. Not only is Botox made of a non-vegan ingredient, the injectable is also tested on animals. To determine the Lethal Dose (LD50) of each batch, Allergan injects mice with the solution, and the quality control technicians count how many die. Unfortunately, since in toxic amounts botulinum toxin paralyzes vital organs, such as the lungs, the mice experience a slow, agonizing death. There is some promising news, at least. Allergan worked to reduce its animal testing by 95%, instead switching to a cell-based assay. Although this has not completely eliminated their animal testing it is a large improvement. Unfortunately, if your vegan patients enquire if Botox is vegan, your answer is no. Are other botulinum toxins vegan? Botox's main rivals, Xeomin/Bocouture and Dysport/Azzalure also contain human albumin, making them not vegan-friendly. The two manufacturers also use animal testing, although Merz is switching testing types for about a 95% reduction in animal testing for Xeomin and Bocouture, and Ipsen also pledged to stop animal testing of its Dysport and Azzalure. A South Korean company, Medytox, does produce a botulinum toxin that does not contain human albumin. Neuronox instead contains a plant protein, which gives it vegan-friendly ingredients, and arguably, makes it safer for human use. There is one catch: this vegan Botox alternative is not available in the U.S., and a licensing agreement with Allergan likely means it will not be available any time soon. Unfortunately, in the U.S., if your vegan patients enquire if your botulinum toxin is vegan, your answer is likely no. Juvederm products, including its lip fillers, are made of hyaluronic acid. This natural wrinkle-filling substance is found throughout animal tissues. Many orthopedic injectables are made with hyaluronic acid found in rooster combs, but most dermal fillers, including Juvederm, source theirs from bacterial fermentation. Since Juvederm fillers are produced using bacterial fermentation, not animals, their ingredients are vegan. However, most medical products, including dermal fillers, are required by law to be tested. Juvederm has been tested on animals, but just as with Botox, Allergan has committed to greatly reducing their animal testing. If your patients ask if Juvederm lip fillers and other dermal fillers are vegan, you can tell them the ingredients are vegan. However, just like any other medical product, the fillers are not completely cruelty-free. Similar to Juvederm, Restylane lip fillers and other dermal fillers are made from non-animal hyaluronic acid. Produced by bacterial fermentation, this hyaluronic acid does not come from animal sources, and is therefore vegan-friendly, natural wrinkle filler. However, also similar to Juvederm, Restylane has been tested on animals. If your patients ask if Restylane is vegan, you can tell them it uses vegan ingredients, but this dermal filler is not cruelty-free. Similar to Juvederm and Restylane, Filorga fillers are made with hyaluronic acid produced through bacterial fermentation. Since this does not involve animals, this makes its hyaluronic acid vegan-friendly. According to Filorga, they do not conduct animal tests on their cosmetic products, although it is unclear if this applies to their cosmetic injectables as well. When your patients ask if Filorga fillers are vegan, unfortunately the answer is unclear. Are other lip fillers and dermal fillers vegan? Most lip fillers and other dermal fillers are made of hyaluronic acid from bacterial fermentation. Although this means most fillers are made with vegan-friendly ingredients, it is best to check each brand to ensure they are made of non-animal hyaluronic acid. That said, most medical products in the U.S. have undergone some sort of animal testing. Although most fillers can claim they have vegan ingredients, most are not cruelty-free. When your patients ask if their lip filler or other dermal filler is vegan, you can usually assure them it uses vegan ingredients, but may not be cruelty-free. Can vegans get cosmetic injections? The two main types of cosmetic injections are botulinum toxin injections and dermal filler injections. If your vegan patients have dynamic wrinkles, unfortunately they are out of luck. No botulinum toxin currently available in the U.S. is made with vegan ingredients, and they have also experienced animal testing, although the manufacturers are working to reduce this. If your vegan patients have volume loss in their lips or other areas of their face, they may be able to get dermal filler injections. The majority of hyaluronic acid fillers are produced with bacterial fermentation, making them non-animal products. However, most of them have been tested on animals. Various vegans have different views on what constitutes an animal product. Some might be fine with products that are animal-free, even if they were tested on animals to some extent, but some might choose to avoid these products because of the animal testing. Provide what information you can to your vegan patients and let them determine what they are comfortable with. Some may still opt for filler injections, some may not, but it is their choice. As more people choose to become vegan, and still others become more aware of animal testing and other ethical concerns, you will likely receive more questions about the ingredients and testing of the products in your clinic. When someone asks if dermal fillers are vegan, unfortunately there is no easy answer. To purchase non-animal hyaluronic acid fillers, such as Juvederm Volite, visit MedicaDepot.com today.